Are you a New or Existing Member? 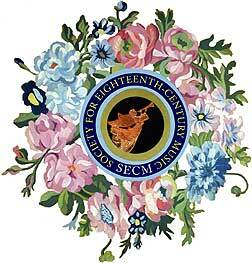 The Society for Eighteenth-Century Music is a charitable, tax-exempt organization as described in section 501(c)(3) of the Internal Revenue Code. Contributions beyond the cost of membership are tax-deductible to the fullest extent of the law, but individual circumstances may vary. We suggest consulting with a tax professional concerning the deductibility of your gift. No credit card information is received or stored by the Society for Eighteenth-Century Music. All payment information is securely transmitted, via HTTPS, directly to our payment processor. If you would prefer to pay by check, you may fill out this form and mail it, along with your payment, to the Society's address given above.